Moreland, J.P. The Soul: How We Know It's Real and Why It Matters. (Chicago: Moody Publishers, 2014), 208 pp. Contemporary thinkers, in philosophy and theology, are largely given over to the false doctrine of anthropological monism/physicalism. This doctrine teaches that man is a purely physical being whose conscious mental activity is nothing more than either (a. )a simultaneously occurring event in the brain that is essentially identical to the one’s neurochemical activity, or (b. )an epiphenomenon of neurochemical activity. The soul is, on this view, not an immaterial substance distinct from the material body. Rather, the soul is a causally effete product of the body. Among the unbelieving world, the reason for this is simple — the rejection of the supernatural necessitates that one attribute to natural forces, causes, entities, etc powers typically ascribed to God alone. Thus, whereas the Bible says that God breathed the breath of life into man and man became a living soul, the unbelieving posit that consciousness simply arose on its own via the process of evolutionary development. For the unbelieving, the materialist, the anthropological monist, life comes from non-life, consciousness from non-consciousness. 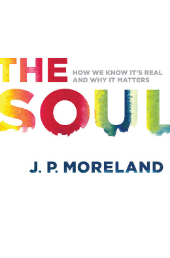 In The Soul: How We Know It’s Real and Why It Matters, J.P. Moreland presents philosophical, biblical, and scientific evidence in support of anthropological substance dualism. The case is a cumulative one, each chapter contributing to the overall argument of the book that the soul is a distinct substance from the body, and that its distinct substantial existence is of fundamental importance to the Christian’s life, as well as that of the unbeliever. The chapters each end with a mini-glossary of key terms covered in the chapter, which is a helpful means of familiarizing the reader with an otherwise completely foreign vocabulary that he can use when defending the doctrine of the soul. The book is a great introduction to the subject, which ends with a clear emphasis on the concrete eternal implications that arise from having a soul which will exist forever. Moreland argues the traditionalist position on hell as eternal conscious torment from the dignity of the human soul made in God’s image, and the reality of hell as a place where sinners are quarantined from the New Heavens and New Earth, subjected to an eternal existence devoid of God’s loving presence. Although touched upon fairly briefly, Moreland also deals with contemporary popular alternatives to ECT, namely universalism and annihilationism/conditional immortality, from Scripture and from reason. Though praiseworthy in the above mentioned regards, Moreland’s book suffers from theological problems. These problems are directly tied to his belief in libertarian free will. For instance, in contradiction to the Scripture’s clear teaching that God will actively visit his enemies with wrath (e.g. 2nd Thess 1:9), Moreland argues that the torment sinners face in hell is merely privative. This has consequences on the Gospel one preaches, seeing as Christ’s death on Calvary also consisted of being the substitutionary sacrifice for sinners (i.e. experiencing the actively distributed anger of God toward sinners, for sinners/in their place). Elsewhere, Moreland attempts to answer the question of why God would create men knowing that some would end up in Hell for all eternity. Although Scripture is clear on this matter, stating that God can do what he wants with his own creatures, preparing some to be vessels of honor and others to be vessels of destruction/wrath (cf. Rom 9:14-26), Moreland argues, in the manner of Molinist William Lane Craig, that it may be that in order to maximize the number of people who would be saved God had to create the world in which we live. This is recognized by Moreland to limit God’s ability in the matter of salvation. However, this is not seen as a problematic belief to maintain, seeing as Moreland’s main concern is to uphold the libertarian free will of man. Even more problematically, Moreland answers the question “What will happen to those who have not heard the Gospel?” not by appealing to the clear teaching of Scripture (namely, they will be judged on the basis of their works and they will be found wanting), but upon the basis of arguments once more derived from Molinism. In the final analysis, then, those who die having never heard the Gospel will be judged according to how they responded to the light they have received. The problem here, however, is that Scripture clearly teaches that all men have the law of God written on their hearts but suppress that truth in unrighteousness, preferring to engage in thinking and behavior that they know is fully deserving of divine condemnation (cf. Rom 1:18-32). So men will be judged on the basis of how they respond to the light they’ve been given, but this is not hopeful. For all have sinned and fall short of the glory of God (Rom 3:23). Those who have never heard the Gospel are not saved by any other means, seeing as there is only one name under heaven given to mankind by which men may be saved — the name of Jesus Christ the Son of God (cf. Acts 4:12). This latter emphasis on the libertarian free will of man is not only problematic as regards theology proper, soteriology, and eschatology, it is also unnecessary. The argumentation put forward in defense of the existence of substantially distinct soul, from Scripture as well as philosophy and science, is quite robust without Moreland’s emphasis on libertarian free will. Thus, the book may be a useful teaching tool as far as understanding the philosophical, scientific, and Scriptural bases for belief in a substantially distinct soul. However, caution must be raised against the later theological errors. In this famous and fearful passage from Matthew’s Gospel, the Son of God points to the will of his Father. Often these verses are rightly given as warning to professing believers that they ought examine themselves, to make their calling and election sure. The emphasis most always is on bewaring of a works based righteousness, which performing and tallying such supposed signs done in God’s name can surely take, but how often is this warning viewed in light of the Trinitarian weight contained in the immediate context of this and surrounding passages? First, note the Divinity of the Son. Jesus does not refuse the title these professing believers cry to him. When they say “Lord, Lord,” Jesus readily receives the Divine title and name as one who has the authority to receive it. Contextually, this demonstrates a divinity ascribed to the Son who has every right to execute Divine judgement. Jesus also points to himself as the rightful mediator between his Father and all mankind by showing that not all who come to him saying his name will enter into his Father’s kingdom. It was teaching like this that inspired the Jewish leaders to kill him on account of blasphemy. What light does Scripture shine on this divine will? To do the work of God is to have a God-given faith that treasures the Son. Faith, exclusively in the Son, is the message Christ is proclaiming as the only access to the Father, and this is the eternal Divine Will. The Son has come down to earth from where he was before. The Son is eternal. His will is in union with his Father’s will, for they are in perfect fellowship and co-equal in Deity. The Son’s work, or will, is not opposed to the Father’s, but is purposed in and with the Father from all eternity. The work of God then, is to wholly trust and feed solely upon the Bread that has come down from heaven. It is to believe in the One the Father has sent, to confess the Son’s equal standing with the Father and obey his work and teaching. And this is all brought about by the personal work of the Holy Spirit. 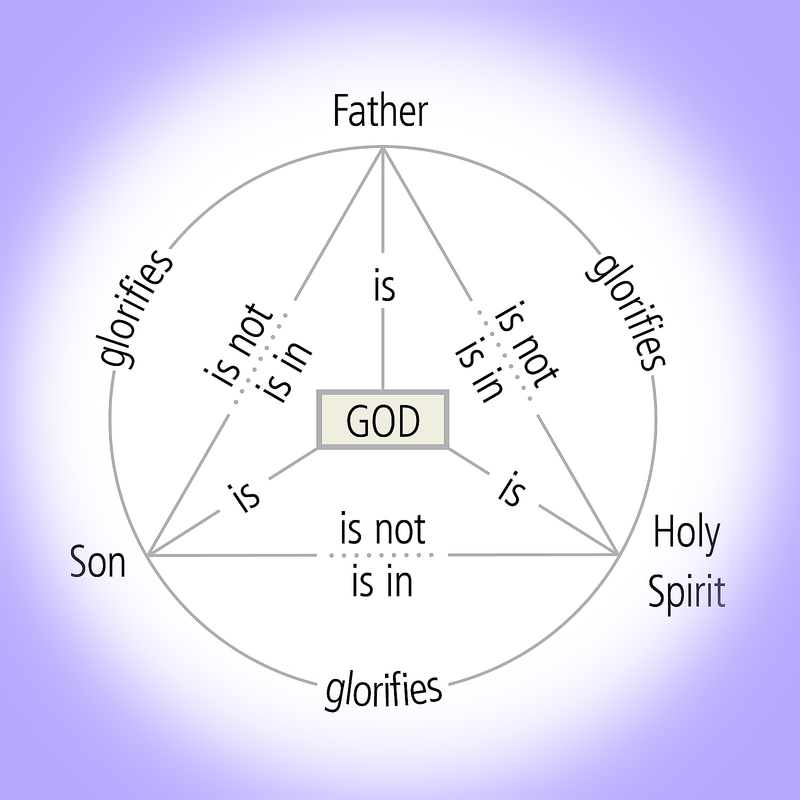 Thus, our gospel proclamation ought to be Trinitarian. When we proclaim Jesus, let us announce the richness of the eternal purpose within the Godhead for an elect people, of which not even one will be lost — the eternal Sonship of Christ, the immense demonstration of love in God’s condescending to his creation, the whole scope of biblical revelation in light of these truths — all while trusting the Holy Spirit to make it effectual for the elect! 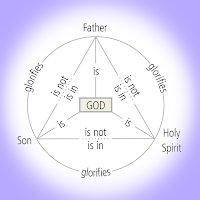 To miss the sovereign decree of a specific people given to the Son in Eternity past is to miss a beautiful dynamic into the Triune will of God. Speaking in knowingly broad brush strokes, Pentecostals in particular, but also many other denominations highly prioritize and seek after their own concepts of the mighty works referenced in Matt 7:22. These same groups typically are not strong on the doctrine of the Trinity and are in danger of Jesus’s warning that they don’t know him at all. We must know the Son revealed to us through the scriptures, not one created in men’s minds. The Eternal Son of Scripture is mighty and awesome, and it is he, in Scripture, that has revealed the Trinitarian will of God. That will has always been about redeeming men from their sins through the sinless substitute once promised and now arrived. May our hope be rightly founded upon his Word, and our joy made complete in knowing him who took our place on that tree. Emphasis added for vv. 21 & 25.
 cf. Matt 26:63-66; Mark 2:7 & 14:60-64; Luke 5:21; John 5:1-19 & 10:30-33. John 6: 38-40. John 6:41-59.